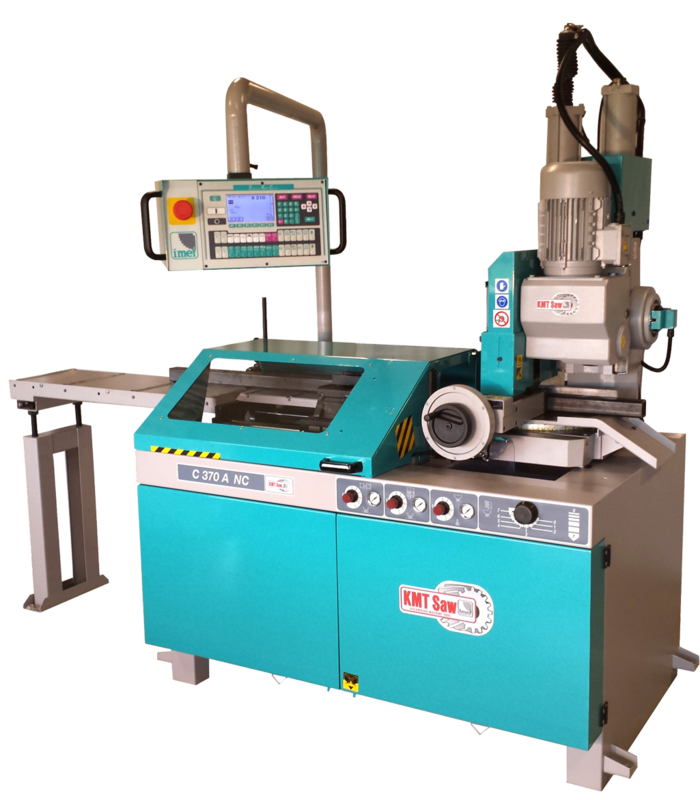 The Kalamazoo Machine Tool Model CT 350 A-NC saw is a fully automatic high speed circular saw designed for high production rates with aluminum extrusions, small aluminum solids, and other non-ferrous materials. The saw has a swiveling capability for mitering to 45 degrees left and right, and a swiveling/tilting capability for compound mitering. 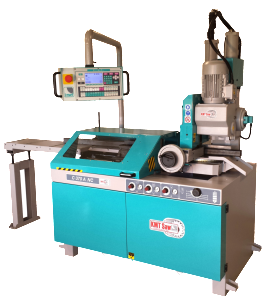 The Model CT 350 A-NC saw features twin pneumatic vises with infinitely variable clamping pressure for safety and quality, and very quick cycle times. The programmable control is easy to learn and provides digital entry of lengths for max precision from the first cut, multiple lengths from the same stock, and a loop function for repeat sequences to yield maximum economy from stock lengths. The machine’s bar feed accuracy of +/- 0.005 inches contributes to repeatable precision sawing. Up to 100 jobs can be stored for reuse, eliminating the need to set and reset various parameters.